Proactiv® Green Tea Moisturiser is a lightweight, non-greasy, non-comedogenic moisturiser that helps soothe dry skin without clogging pores. It is formulated with green tea extract to soothe and calm skin, macadamia nut oil extract to soften and lock in moisture, hyaluronic acid to help maintain skin’s hydration, and minerals and emollients to nourish and soothe the skin. Apply daily as needed to alleviate dryness. Can be worn alone or under makeup. If using the three-step-system, apply after step three. I love this moisturiser it smells incredible. It feels so smooth on the skin and it absorbs in pretty quickly. You only need a small amount and it rubs into your whole face leaving it feeling freshly cleaned and hydrated. It is the perfect consistency to put on under makeup or before bed. 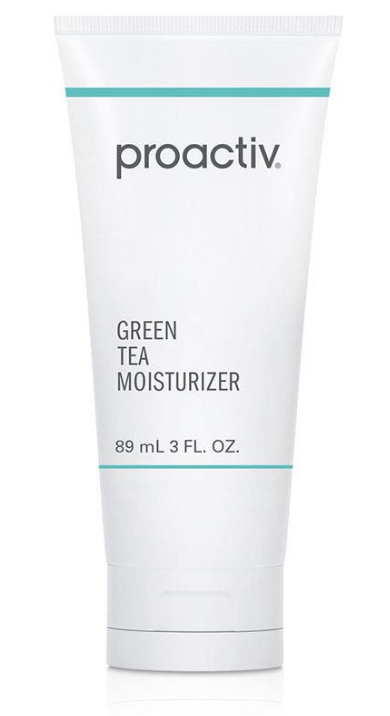 Proactiv® Green Tea Moisturiser is packaged in a white; squeeze tube with a flip top cap. It contains 30mls of whitish clear moisturiser with a soft green tea scent. I can instantly tell that it is non-comedogenic because it is so lightweight, it would be perfect for oily problematic skin. I like the smell and it applies easily leaving no residue. My skin was left feeling silky smooth like I had used a serum so no complaints here. This Green Tea Moisturiser has exceeded the expectation of being a hydrating but non-greasy moisturiser that helps aid dry skin sufferers without becoming thick on the skin and clogging pores. I apply this daily as needed to alleviate my skins dryness, often wearing it under makeup, as a primer! love this product! The gel consistency feels really light weight and cooling on the skin. The formula is not too heavy or sticky, like many other moisturisers out there. The scent is nice and fresh, but not too strong and overpowering and only requires a pea size amount to nicely moisturise my entire face! This is a lightweight and non-greasy moisturiser. (This is usually an issue with all of my other moisturisers), and makes my skin feel breathable. It doesn't clog my pores yet it still soothes it. It also sits very nicely under my daily makeup. I have very sensitive skin and I LOVE how this doesn't irritate it at all too. Use daily in the morning. Opt for a thicker moisturiser during the night. This is a lovely lightweight yet hydrating moisturiser suitable for many skin types. This is soothing and feels just lovely on the skin. Sits very nicely under make up, and I found I could even skip the primer when using it. I find the scent a little strong (I'm a bit fussy on this and don't really like scent in my moisturiser at all), however for many people this may be a positive, it just depends what you like. Sample this one first if you're fussy about scents like me! great moisturiser for all types of skin especially dry and sensitive!  I really love this product as it’s great for all types of skin and especially dry or sensitive. It is not oily at all so won’t make your skin more oily, and really unclogs your pores. This product feels very relaxing and cool when you put it on your skin which is really nice because you don’t want it to be hot. It is so simple to apply to your skin and i would recommend to do after cleansing skin, I love this product and i would definitely recommend it to anyone but especially teens! great moisturiser for sensitive skin! I love this product as it’s great for all skin types. It’s not a oily moisturiser and unclogges pores at the same time which is really good. I think this is a great product and I would definitely recommend it to everyone especially teens. It’s not hard to apply and doesn’t make your skin oily that’s why I love it. Such a good moisturiser that leaves your skin feeling smooth. Has such a nice scent to it that isn't over powering. I use this everyday after I do my usual cleansing and it's amazing, it doesn't leave my skin oily just the right amount of moisture. Would definitely recommend this product. This moisturiser is packed with amazing ingredients such as green tea which hydrates and soothes your skin, without clogging your pores. I found it so soft and nice to apply to my skin, especially dry areas. Until now I hadn't found the perfect moisturiser, but this one is definelty it! While I love the smell, and yes it really does smell like green tea, of this moisturiser it wasn't for me. I don't like really thick moisturisers but for me this product wasn't thick enough. When I applied it I needed quite a lot in order to feel my face was moisturised and not feeling dry. The product is a thin clear gel like consistency, and when put on the skin is very lightweight and definitely doesn't clog pores or cause irritation, but for me it just wasn't moisturising enough, I actually put on another moisturiser after using this. This Green Tea Moisturiser is light weight and non greasy and that’s exactly what I need in a moisturiser. The green tea extracts in this product are very soothing on my dry acne prone skin. I have found that this product has definitely affected my skin in a positive way, my acne and acne scars are less red. I also love the cooling affect. This product doesn’t include sunscreen so I suggest you wear sunscreen before going any where near the sun. Acne prone skin. Also dry or irritated skin. beautyheaven has a limited-edition Easter Show showbag! And bonus points are involved for ALL of our members. And why it's a must-use this winter. Online, over the phone or at one of our national store locations. Products may differ at stores.